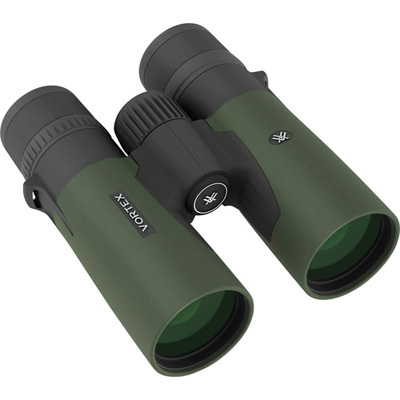 Vortex Razor HD 8x42 Roof Prism Binocular RZB-2101 is capable of delivering an outstanding optical performance. Be it extreme terrain or unimaginable conditions, the best in class binocular is small, light, bright and rounded off with an array of important features. The list is inclusive of premium, hand selected and precision-ground HD Lens Elements with HD extra low dispersion glass for sharp, brilliant and true to life views, and XR Plus fully multi-coated lenses for maximum light transmission while finding game in low light. The binoculars also have the sophisticated APO or triplet apochromatic lens system to let the user cherish high-definition views across the field of view, zero color fringing, and no degradation of resolution or dilution of color fidelity regardless of the distance. 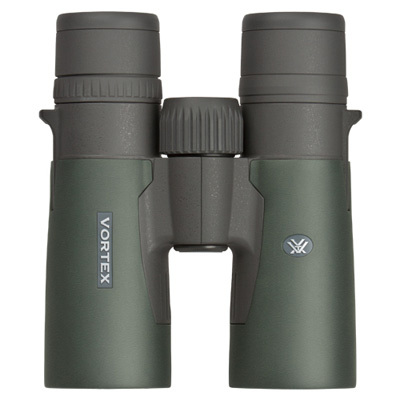 Other attributes of Vortex RZB-2101 consist of 8x magnification, 42mm objective, ArmorTek ultra-hard scratch-resistant coating on exterior lens surface, roof prism design, dielectric prism coatings, lightweight magnesium chassis, center focus wheel, multi-position eyecups, superior ergonomics with true open hinge, argon gas purging, o-ring, and rubber armor for a secure, non-slip grip. In addition to this, the Razor HD binocular is tripod adaptable.